Specifically designed to excel across a wide range of riding conditions, the Honey Badger gnaws through loamy trails, hard-packed dirt, and everything in between. To hit this balance, Kenda uses short, widely spaced center knobs and tighter side knobs. The result is a fast rolling tire that handles predictably over loose or smooth terrain. Their DTC rubber compound furthers the combination of traction and speed. The tubeless ready KSCT casing makes tubeless set-up a breeze, without adding excessive weight. This version of the K1127 Honey Badger SCT is available in 29 x 2.2 Inch (55-622 ISO) and features a folding bead. I got these tires for multi-condition riding in the Northwest. 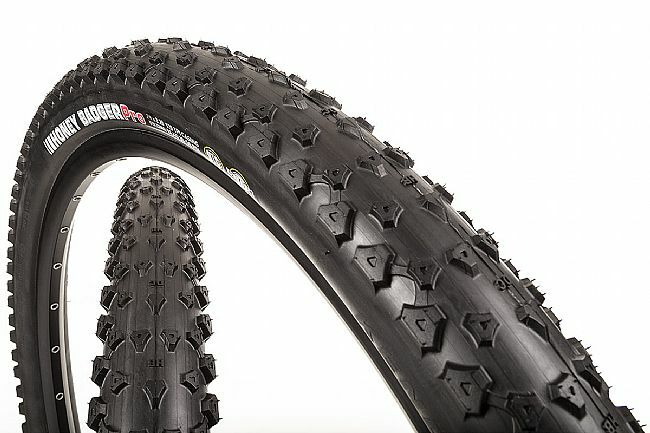 I initially opted for these as a winter tire, but having ridden them in our relatively dry spring, I'm pretty sure these will work fine in the summer too. Not the lightest tire, but they really do well in a variety of conditions. I favor function over weight.